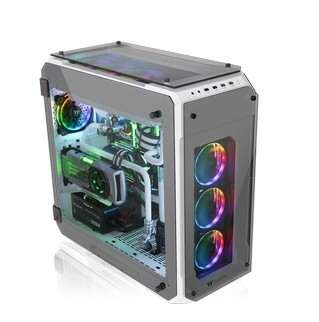 Taipei, Taiwan－June 15th, 2018－Thermaltake, a leading premium gaming tower manufacturer, announced the immediate availability of the Thermaltake View 71 Tempered Glass Snow Edition Full-Tower Chassis. 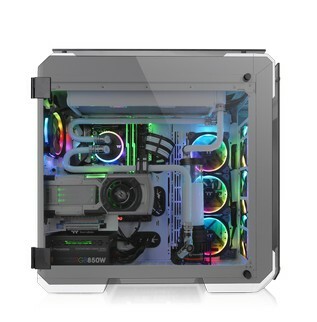 Designed to expand the legacy of the View Series lineup, the View 71 Tempered Glass Snow Edition Full Tower Chassis features unrivaled cooling support and expandability surrounded in tempered glass for a one of a kind view. 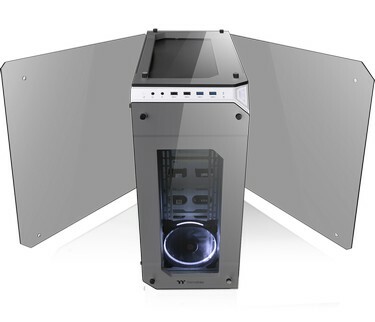 Swing open full window tempered glass panels for easy access with all panels properly spaced for optimal airflow. 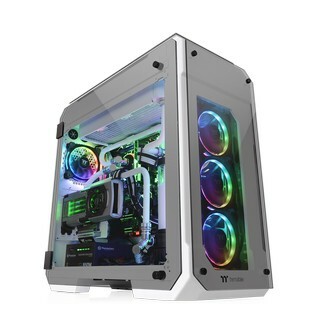 The View 71 Tempered Glass Snow Edition is preinstalled with two 140mm Riing white fans, Vertical GPU mount and 3-Way radiator support for today’s PC hardware demands. 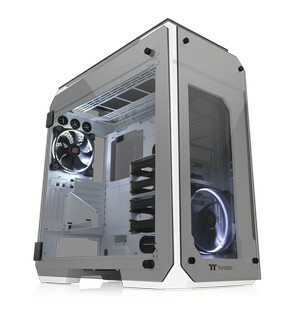 The only limitation is your imagination; create your custom dream build with the Thermaltake View 71 Tempered Glass Snow Edition Full-Tower Chassis. 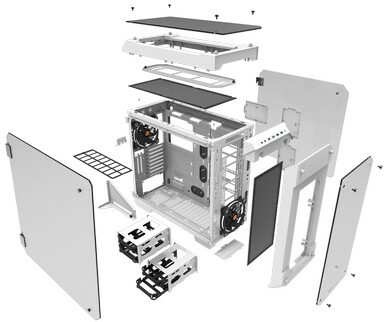 Thermaltake TT Premium PCI-E 3.0 Extender (Optional) – Supports a wide range of GPU solutions with ultra-excellent quality. Features like, extreme high-speed cable with highly-routable design, EMI shielding with conducting polymer are crafted for meeting the most demanding system. Available in 300mm, 600mm and 1000mm.